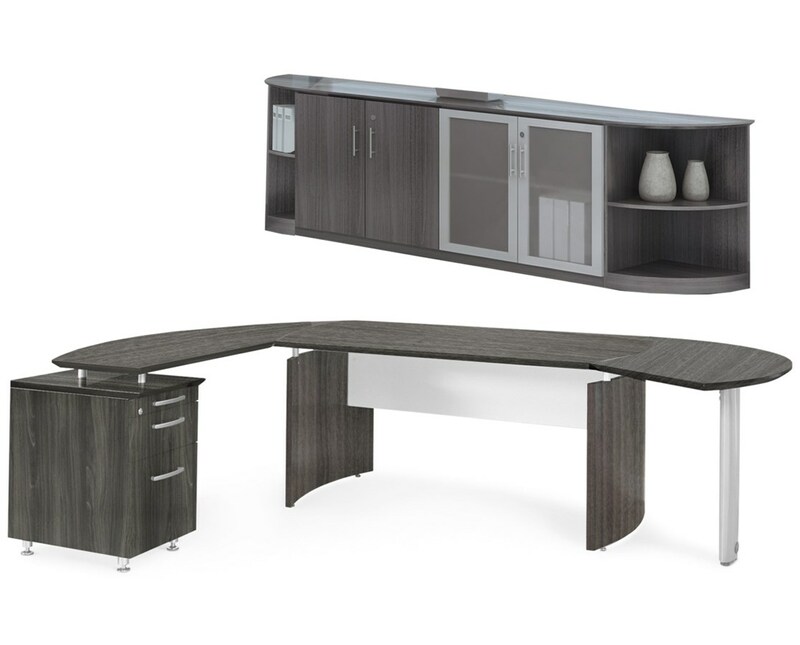 The Mayline Medina Series Office Suite 9 is a stylish yet functional configuration of different office furniture designed to achieve high efficiency at workplaces. 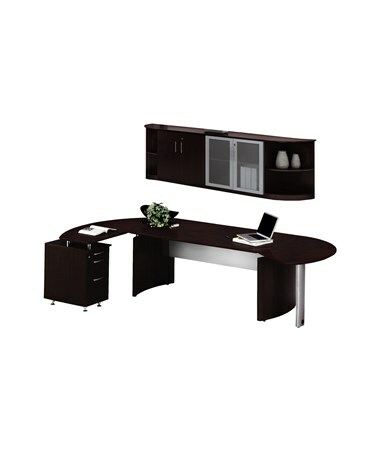 Featuring a large 72”L x 36”W Medina curved desk with right desk extension and left desk return, it provides ample room for paperwork and comfortable movement. 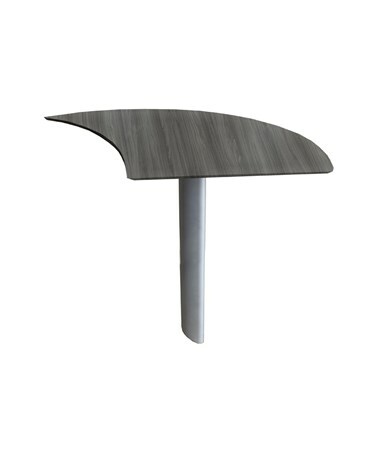 Its one-inch thick laminate tabletop with distinctive beveled edge is scratch-proof and stain-resistant to ensure long-lasting performance. 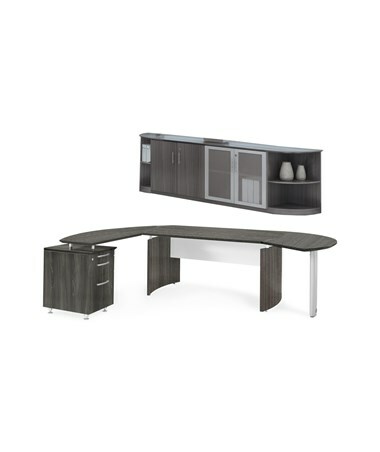 This Mayline office suite comes complete with a 72"W x 20"D x 29 ½"H two-compartment, low wall cabinet with frosted, tempered glass and wooden doors. 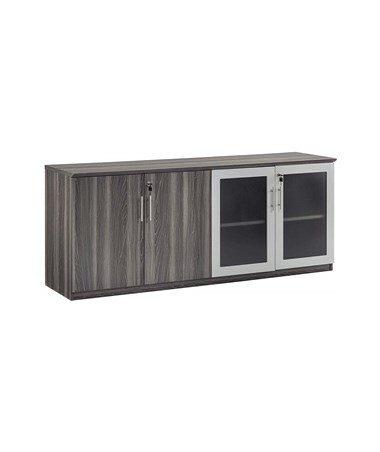 It has adjustable shelves to accommodate a wide variety of items and different safekeeping needs. 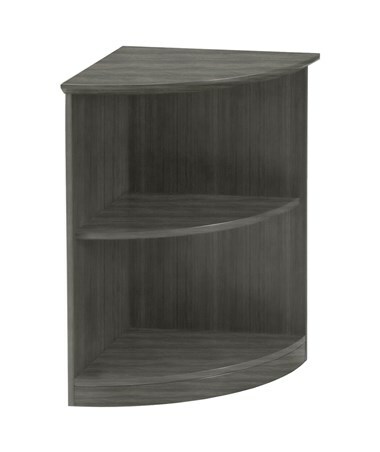 Each side is equipped with a two-shelf quarter round bookcase that offers open shelving and 50-pound weight capacity. 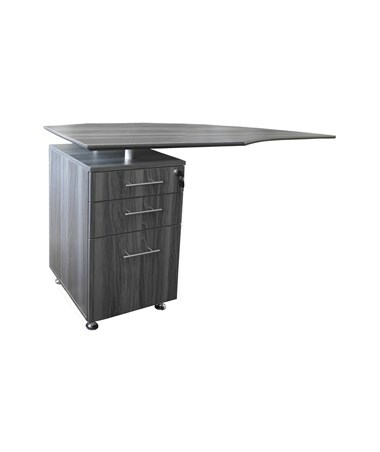 For easily accessible storage, it also includes a 25”W x 18”D x 2”H solid wood center drawer. 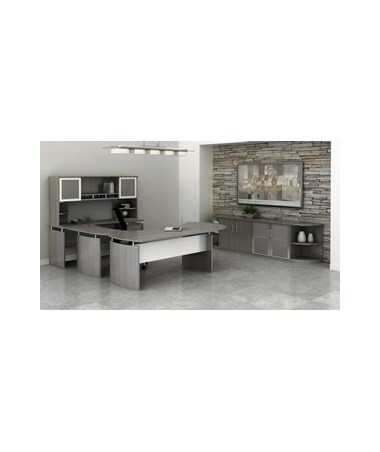 The Mayline Medina Series Office Suite 9 has overall dimensions of 116”W x 103”D x 29 ½”H and is supported by one steel leg and a pencil-box-file pedestal. 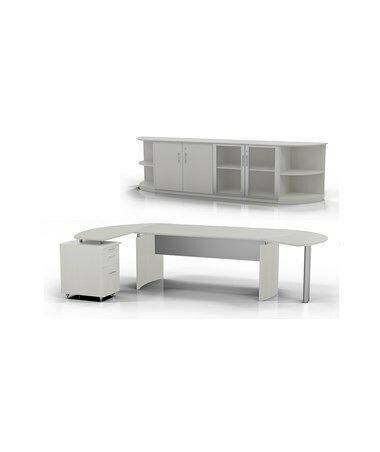 Its drawers use full-extension ball-bearing suspension for smooth operation and single-key locking system for maximum security. 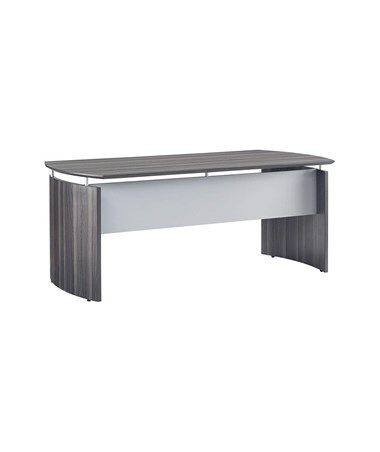 With its five sophisticated color options, it suits most offices, conference rooms, and other work settings. 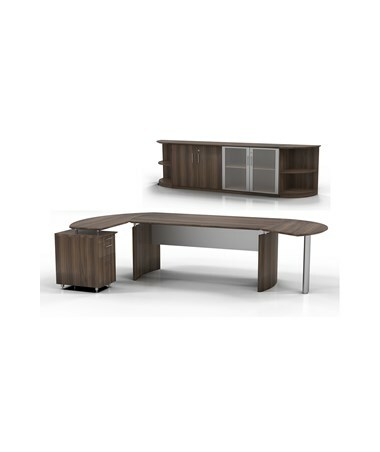 The Mayline Medina Series Office Suite 9 comes in five color variations to suit various workplaces. Please select your preference from the menu above.